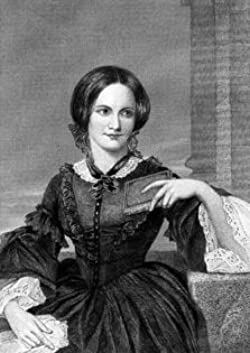 Charlotte Bronte (1816-1855) was from an English family that produced three novelists: herself, Emily, and Anne. Besides Jane Eyre, other best known works include Shirley and Villette. Please enter your email address and click the Follow button to follow Charlotte Bronte! As an orphaned child, Jane Eyre is expected to be humble and grateful, but her wild spirit will not be tamed or broken despite the abuse she endures. As an adult, Jane finds her soul's match in the brooding Mr. Rochester, but their love is not enough to overcome the dreadful secret hidden within the very walls of his estate. Charlotte Bronte's classic Shirley was first published in 1849, and is considered one of her greatest novels. This edition of Shirley includes a table of contents. •This e-book publication is unique which includes detailed Biography and Illustations. •A new table of contents has been included by a publisher. •This edition has been corrected for spelling and grammatical errors. Jane Eyre becomes a governess in the house of wealthy Mr. Rochester. She is asked to marry Mr. Rochester but he has a terrible secret. This is an inspirational tale about a woman’s quest for self-discovery and love. Classic work with differentiated pictures. A novel of high romance and great intensity, Jane Eyre has enjoyed popular success and critical acclaim ever since its publication in 1847. Jane's journey from a troubled childhood to independence - and her turbulent love affair with the enigmatic Mr Rochester - electrified Victorian readers with its narrative power. Instead of memorizing vocabulary words, work your way through an actual well-written novel. Even novices can follow along as each individual English paragraph is paired with the corresponding French paragraph. It won't be an easy project, but you'll learn a lot! Skyros Publishing is dedicated to reproducing the finest books ever written and letting readers of all ages experience a classic for the first time or revisit a past favorite.Villette is a novel written by Charlotte Bronte. The book tells the story of Lucy Snowe who travels to France to teach at a girls’ school. Skyros Publishing is dedicated to reproducing the finest books ever written and letting readers of all ages experience a classic for the first time or revisit a past favorite. The Professor is the first novel written by Charlotte Bronte. The book tells the story of a young man who becomes a professor at an all-girls school.